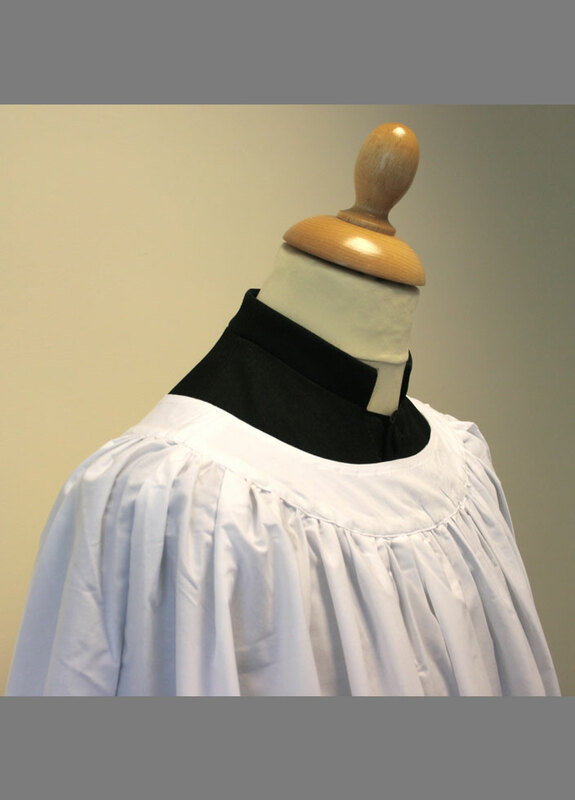 We believe our new surplice is a first in the clerical wear market. 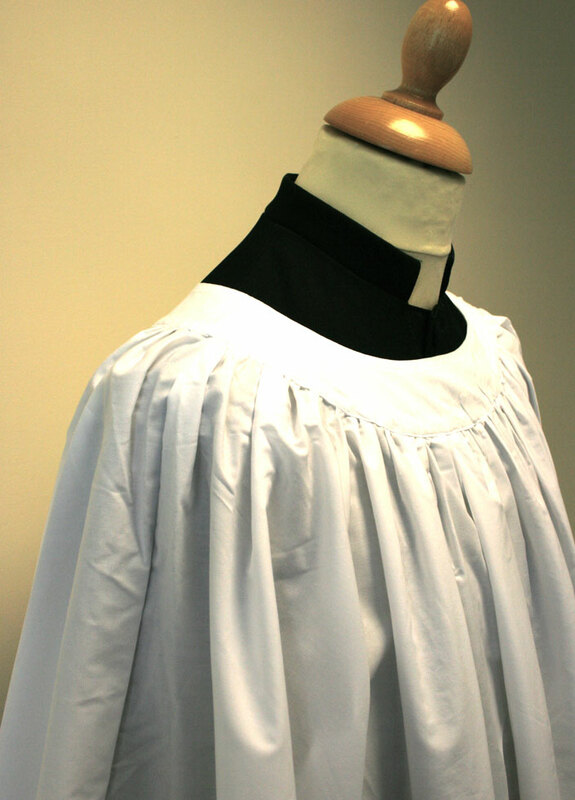 The polyester used in our Fairtrade Certified polycotton surplice is made entirely from reclaimed PET plastics (plastic bottles). It is durable and easy care for regular use but with an astonishingly soft feel. 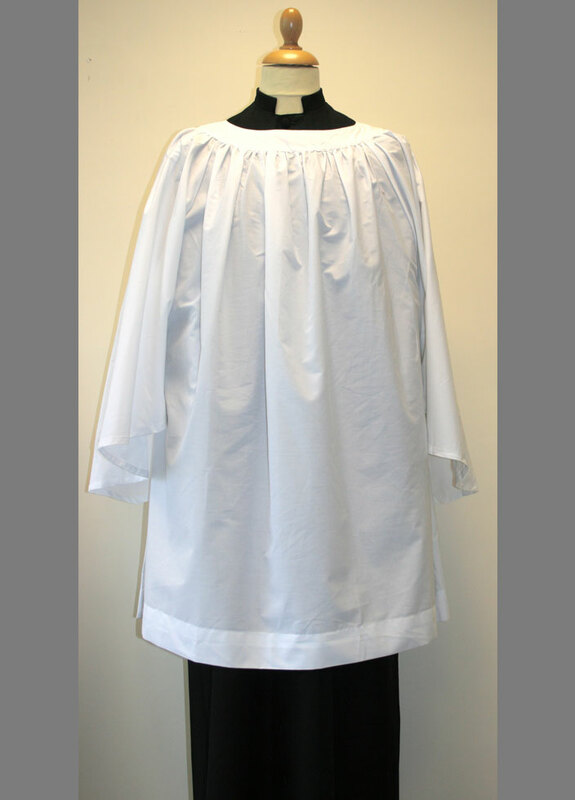 It is cut in a traditional design with flat pressed collar and hems. Suitable for both men and women. It comes in 4 standard sizes and a range of 9 different lengths based on height. If you would like to see a fabric swatch please email us at info@fairtradeclergyshirts.co.uk supplying your name and address so that we can send a sample.